There is a new EU regulation in place to standardise and regulate nutrition labels of food products. 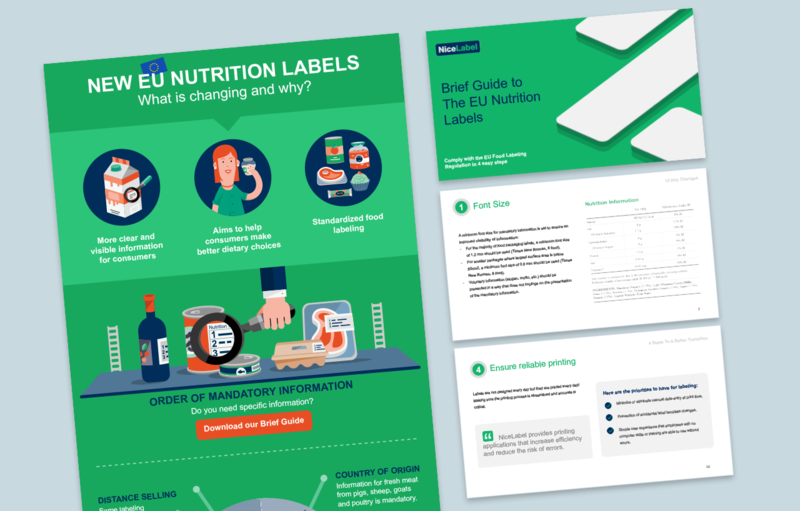 For our client NiceLabel, we have created an educational campaign to address the small food producers and we aimed to simplify and explain the legislation for them, highlight the most important changes and offer a solution to facilitate their transition. This campaign contains web pages, an ebook, infographic, blog posts and email communication assets and serves as a lead generation campaign. It is a part of our B2B inbound marketing services we provide to NiceLabel to help them attract new potential customers, convert them to leads and nurture them to become customers.